With cloud-based products continually evolving for many providers, Oracle is absolutely no exception. Oracle has streamlined their offerings to make their solutions more cost-effective and simpler than ever before, allowing ease of entry for first time cloud users, and plans which even allow you to take advantage of the Oracle licenses you already own. There are a variety of deployment models and features to suit your specific cloud needs, and it is not always easy to navigate the process. 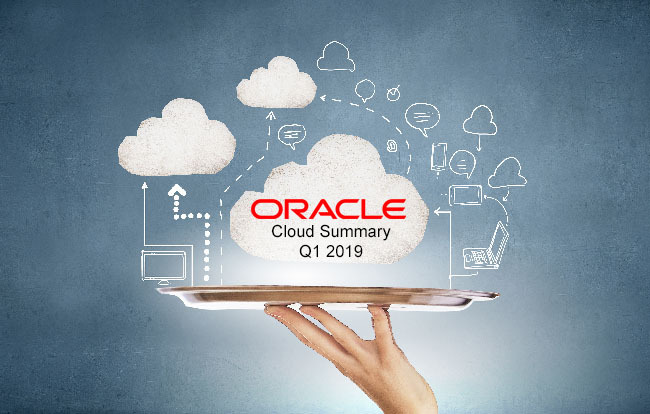 We’ve compiled a simple, generalized summary of the different Cloud options currently available from Oracle, as of Q1 2019. Oracle’s Infrastructure as a Service platform takes the worry of an onsite or data center solution out of mind. It provides robust, redundant, and supported configurations for unsurpassed reliability and performance. You can choose to run bare metal or VM, taking away concerns with the previous VM only option. The Platform as a Service is Oracle’s managed cloud database solution. You choose your edition and resource needs. This provides quick and easy provisioning and repository features needed to run your environment. Oracle makes it easy with PaaS to scale as your business grows and even offers deployment within your data center. The Software as a Service option gives customers access to application software in an already provisioned and ready to develop environment. This is the best option if you are looking for virtually no set-up work. This enables more productivity and access to products which might be too expensive to license in house. There are three models you can use to purchase Oracle Cloud offerings, allowing for more flexibility than ever before. This provides customers with more choices and control. Oracle is less complicated and more appealing than many of its competitors in this regard. Pay as You Go is exactly what it sounds like, no upfront commitment. With no minimum service period, the use of Oracle’s IaaS and PaaS are metered hourly, charging only for the resources consumed. You pay for your services in the following month, giving you the optionto expand or reduces services without additional fees. Purchasing Universal Credits allows you to predict your spending and receive discounts upfront. You pay for the credits and use them during the upcoming month. You can change your service resources as needed with already purchased credits, giving you immediate control of your spending, without surprises on future invoices. Already own Oracle licenses? Then this is the option for you. Bring Your Own License is a great way for existing customers to enter the Oracle’s Cloud at a reduced cost. BYOL enables you to leverage equivalent resources in the Cloud without the infrastructure management overhead or costs associated with on premises environments. Investigation into the marketplace can be a challenge. If you are interested in learning more about what Oracle has to offer, please reach out. Indy Data Partners, along with our cloud resources at Oracle, will work with you to navigate the various options, identify your IT resources that would benefit most from a cloud architecture, and compose a cloud strategy and migration plan to meet your needs. It’s never to early to start the discussion, give us a call today!